I love the look of stain glass, especailly in old Victorian houses. I live in a house that is over 100 years old. I moved and restored my house in 1984, and I have been busy ever since. I am always looking around at ways to improve my old house. The name of my old house is the Dolphin House. It was one of several guest houses that were to be demolished. I purchased the house at public auction and had it moved to its present location. I have been busy ever since restoring and improving the house. I invite you to take a look at the two Hubs I wrote about moving and restoring my old house. The links will be found at the bottom of this Hub. 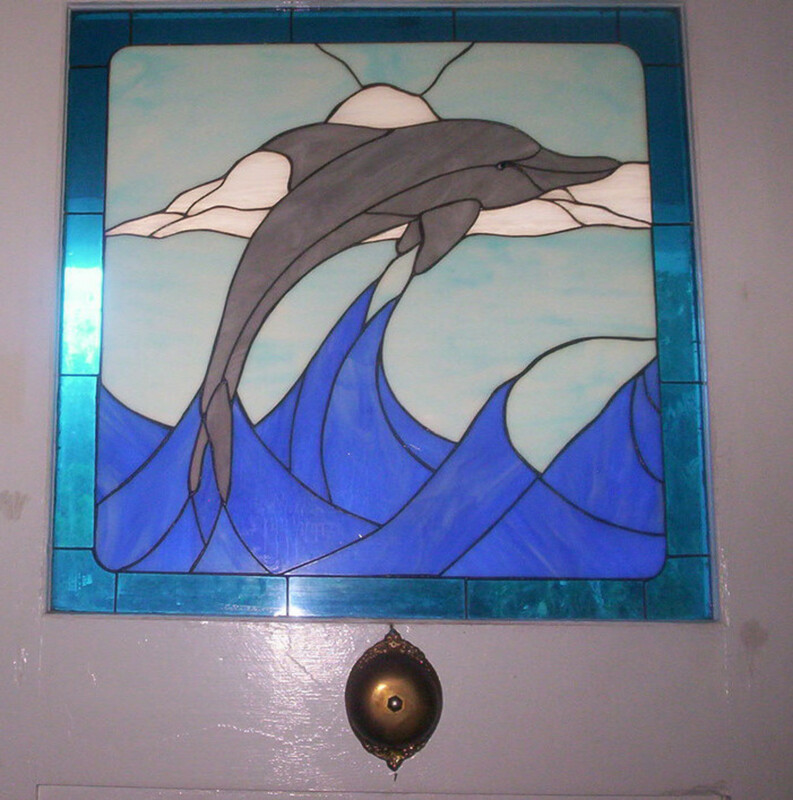 I hired a professional stain glass artist to make a stain glass dolphin for the front door. I was very pleased with that. I began looking around the house to other places for stain glass such as windows and doors, but I knew I couldn’t afford a professional to make those. Then I discovered a way to do it myself! People come into my house and always comment on my beautiful stain glass. I don’t tell them I did it myself. I first tried this technique on a mirror. I was so pleased with the mirror, I decided to do my bathroom window. Next, I painted two full sized plain exterior doors and my kitchen door window pane. I hope I have got you excited about doing faux stain glass for yourself. If so, go to a large craft store like Michael’s. You can find books filled with ideas for your project. These books have patterns and instructions for different brands of glass paint. They will give you a list of the paints and the amount you will need for whatever project you want to do. 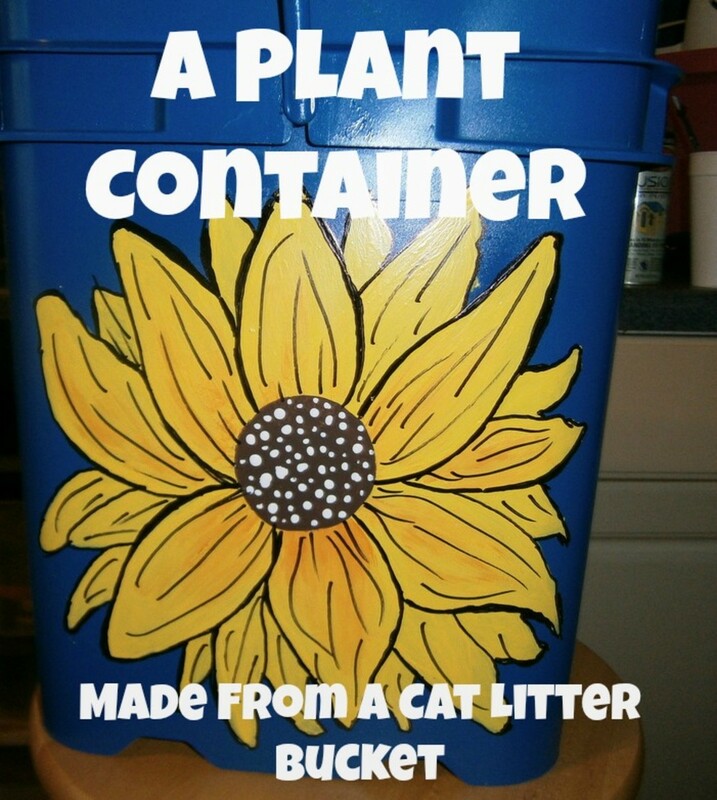 If you can't find the supplies to do this project locally they can be ordered directly from Amazon. You'll need the assorted colors of paint and the black leading paint. I decided to start learning this technique on a bathroom mirror. I would advise you to start out with a mirror because you can lay it down flat to work on it. After you have some confidence in using this technique of faux stain glass, you will be able to do larger projects such as doors and windows that will be vertical. I cleaned the mirror well with alcohol. I drew a pattern on the mirror using a scalloped design with a black marker. Using the liquid leading paint, I went over the lines I made with the marker. Wait about eight hours until the liquid leading paint has completely dried. I filled in the lines with the liquid glass paint to get a solid white design. My kitchen door had a plain glass panel on the top. Using one of the the designs in the book I bought, I created this faux stain glass. It turned out so well, I was encouraged to tackle the two full sized exterior doors. When you are working on exterior windows and doors, place the pattern on the outside of the window holding it in place with masking tape. Using the pattern as a guide, draw the outlines of the pattern with the leading liquid (you would have purchased this along with the paints). Wait about 8 hours, then fill in with the colors of the glass paint. I wanted light to come into my bathroom without sacrificing privacy. Instead of putting up curtains that would have prevented light from coming in, I did the faux glass paint technique on the window. It's a double hung window, so I did the upper and the lower glass window. I think this is my favorite design using the Faux Stain Glass technique. It looks just like real stain glass. I get many compliments on this work of art. My Daughter loved the work I had done so far so she asked if she could do her bedroom exterior door using the same technique. She designed this entire project and completed the work herself. She was so proud of the way it looked when she finished. I was too! You will find instructions in the books on Glass Painting to make Clings to apply to glass. This method is nice if you want to decorate objects such as flower vases. They can also be used to decorate your windows for seasons such as Christmas, Easter, Halloween, etc. These are made on a special work surface using the liquid leading outline and the colors of the glass paint. When they are completely dry, you just peel off the "cling" and apply it to the glass. 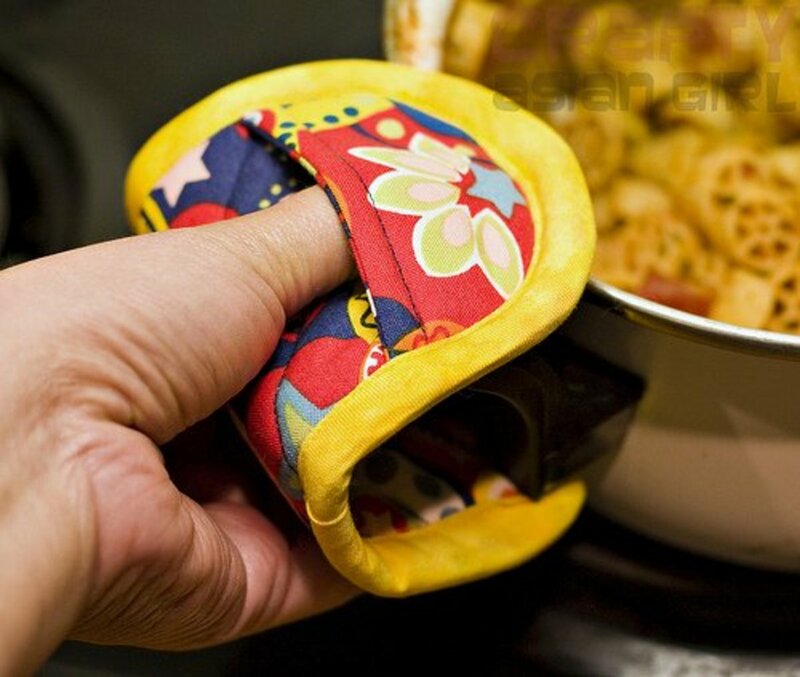 These "clings" come off easily when you want to take them off. This is one of those projects that you don't have to finish in a day! You can just work on it whenever you are in the mood. Go away and leave it alone, and start back up when you want to. Always start with a clean window that you are going to paint on. Alcohol seems to work the best. This glass paint can be removed from your window or door if you get tired of that design and want a change, or if you just want to go back to plain glass. I don't think you would ever go back to plain glass, but if you do: Use a single edge razor to peel the design off the glass. There is no need to put any kind of sealant on your work when you finish. This is a project that I have really enjoyed learning how to do. It is so rewarding after you finish and your work looks like a professional artist did the real stain glass. I get so many compliments on my work. People really admire my stain glass, and I never tell them it's "faux" stain glass! This is a story of how I bought a house at public auction, had it moved, and restored. It is my home now, and I am very proud of all my blood, sweat, and tears that went into this project. This is an inside tour of my old house that I moved and restored. It's a house filled with love and a lot of wonderful memories. Faux stained glass painting is a great form of art. It's fun, safe to use and easy! Here I've given a few tips I've learned for successful faux stained glass painting. Happy painting! Would you like to try your hand at faux stain glass? If you enjoyed reading my Hub on Faux Stain Glass for windows and doors, please let me know by rating it, using the Stars below. Outstanding! I found you out on Pinterest and pinned it again! Love this! Thank you so much! Hi Daisy Mariposa I would like to take some classes in how to make real stain glass, but I can't afford to buy all the supplies. This way looks like the real thing and does't cost so much to do. I've returned to read your Hub another time. I've created pieces using both the soldering technique for stained glass, and the faux method. 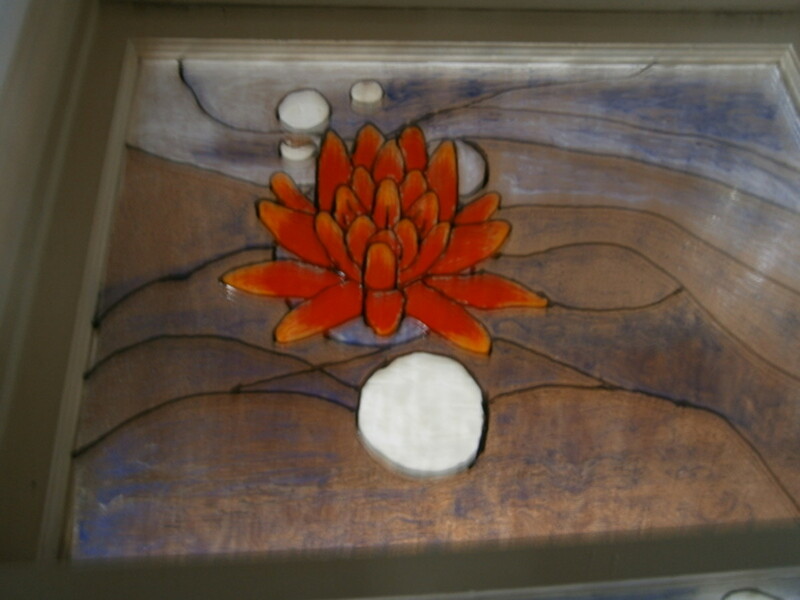 I much prefer creating faux stained glass pieces. Hi, rebeccamealey, Why, thank you very much for the lovely compliment on my faux stain glass work. Hi, Faith....I am so happy you like my method of doing faux stain glass! Coming from one as creative as you, that means a lot to me. I was broken hearted when I couldn't remove and bring the doors with me when I left the house, but yes, I have the Dolphin hanging on my screen porch where I now live. Beautiful job! Thanks for sharing this. Oh, my goodness, Mary, your faux stained doors and windows are beautiful and beyond! Thank you for the simple instructions on how to do these beautiful works of art. I must give it a try. I am so glad you kept the Dolphin window when you moved and can be reminded of your old homestead. It is very special. I would have never realized they were faux stained at all. Such beautiful designs. Your daughter's door is beautiful too. You are a multi-talented lady. Thank you for the great photos. Hi, blueheron Thank you so much for reading my Hubs about my adventure in moving and restoring my old house. It has truly been a labor of love. My project has certainly been rewarding, but I don't think I would ever tackle such a project again. Hi pstraubie48 Oh, I do hope you will try and do this faux stain glass. Thank you for your nice compliment on my Hub. Thanks so much for the votes, the Pin and the share. So nice to see you! I loved your hubs about moving and restoring your house. I have lived quite a few years in a fixer-upper, slowly making the place liveable--and living in it while it's not. An old house is kind of like a giant craft project, and you learn new skills along the way. One of my daughters learned carpentry and other skills alongside me. She could intuitively figure outdoor hardware and how to hang a door at the age of 14, and plumbed in a new pump by herself at the age of 16. I hadn't slept for 36 hours, at the time the old pump went out and told her I would have to get some sleep before starting on this. So she said, "I'll do it," and did it. You could call this the Nightmare Years, I guess, but we lived through it. So rewarding! I did not know this about your house being in foreclosure---I am so sorry. But on the bright side you will be near your daughter. And then you can decorate your door and windows there. We will talk later and have a great day. Hi, Bobbi. What a wonderful compliment! I did share this on Google+ . I'll check to see if there is a craft community. 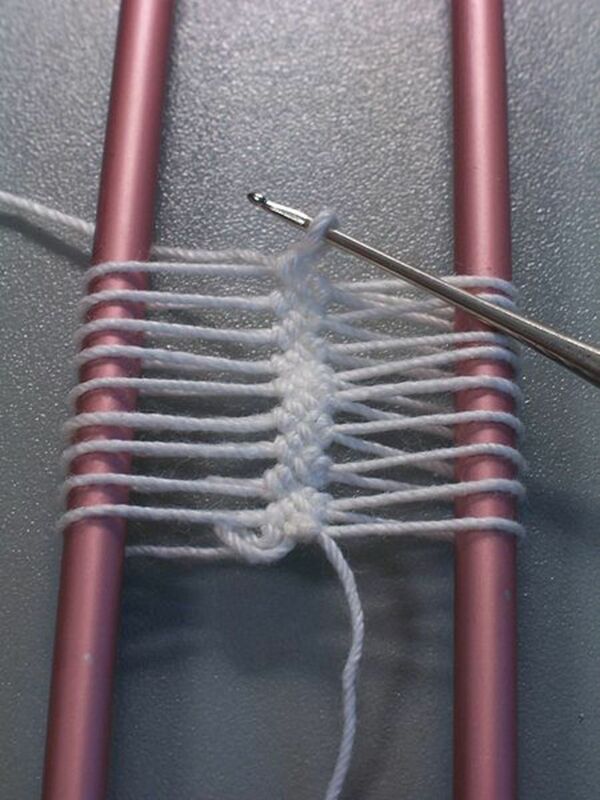 This was one of my favorite crafts to learn and to do. My daughters did the same to some of their windows and are happy, too. When the bank comes to take my house which is in foreclosure (wrote a Hub about that), I will have to leave my doors along with all the other projects I have done in my old house. I'm moving into one of the daughter's apartments and have already promised to do faux stain glass on her windows. This is an awesome hub---You are the Queen of Grafts---. Your home must be beautiful with all the additions you have added. Put this on Google+ and share with everyone. Check for a craft community and join first---so you can enjoy sharing with crafty people. I voted up and across the board and tweeted it. Hi, Vellur. Thank you so much for the lovely compliment. I really enjoyed doing this faux stain glass project. It was really easy to do, too. My daughter is very talented and really has an "eye" for color. Good Morning, midget38. I guess I am a creative person. I never finish the projects I have planned to do. So beautiful and creative. You have done a fantastic job on decorating the glass pieces. Each one is so beautiful. The one that your daughter did is awesome!! Great work! Thank you for sharing this, voted way up. You are a creative spirit, Mary! Sharing! Hi tillsontitan (Mary). Why, thank you for the wonderful compliment! I appreciate that. This is one of my very favorite projects that I have done in my old house. Mary your talent knows no bounds! Not only do you find worthwhile crafts to do but you excel at doing them. Your windows are beautiful and do look like the real thing. Thank you for sharing this with us! Hi, Sherrye Barrow. I'm so happy you like my idea of doing Faux Stain Glass. I do hope you will try your hand at this craft. It is so rewarding, and it isn't hard to do, either. I think this is a great idea! Thank you for sharing. The design work is beautiful...a must try! Hi, midget38. Thanks for reading and for the nice compliment on my Faux Stain Glass Hub. I love to do this kind of craft. Very rewarding. I do hope you will give it a try. Mary, coming in to say that you are truly talented! Thanks for sharing this.....when I have the occasion to, I will try this out! Hi, AMFredenburg. I'm happy you like the idea of doing faux stained glass. It can be removed using a razor blade, but after you do this project and it looks so good, you will not want to remove it. The clings come off easily, too with razor. If you make the landlord's front door pretty with faux stain glass, I'll bet he would like it, too! If not, you can remove it. Hi, Mary615, I absolutely love this! I was thinking, this is great, but I wonder how easily it comes off? I need an answer for a steel front door with a window that allows people to peek in, but thought, my landlord might freak out if I painted the windows. And then I read about the clings. Perfect! I am definitely going to try this and will Pin and Tweet. Thanks! Hi Daisy. I really want to learn to do real stained glass. That will be my next project to learn, I think. The beginning kits I've found on the internet are just so expensive. I do admire the real thing, though. I still have windows in my old house that I want to faux glass stain when I have some time ha,ha. Thanks for reading and the nice compliment. Yes, I think you are right. The person asking the question must have been thinking about fabric pain on canvas. Having done stained glass projects the traditional way and by using your faux techniques, I can attest to the fact that faux stained glass is so much easier to do. You did a great job with explaining the process. Regarding the comment about faux stained glass on canvas, that technique sounds like an impossibility to me. Canvas is opaque. Light cannot shine through it. What the person who commented probably saw was fabric paint on canvas. Hi, Denise Jean. I have never done faux stain glass on canvas. It sounds like a wonderful idea, but I'm afraid I can't help you with that. I would search on Google. If it is being done, I'm sure you will get results. Sorry I can't help. Thanks for reading and commenting. Hi , can't you tell me how to procead for doing faux stained glass on a canvas because i saw it doday in an exebition fair and its very beautifull.really hope you ca help me thank you in advance,im on facebook also or my email is djean65@hotmail.ca. Hi, tebo. Thanks so much for the nice compliment on my Faux Stain Glass. I do hope I have inspired you to try this project. Just start on a mirror until you gain some confidence. It is NOT hard to do at all. I'd love to hear back from you how your work turns out. The windows and doors you have decorated are lovely. It does seem quite easy from your instructions and I really would like to have a go one day. Thanks for sharing. Hi, MatieCoetser. I'm so happy you find my faux stain glass windows and doors beautiful. I do get a lot of compliments on my work, and I enjoyed doing the project. Mary, your stain glass windows, doors and decoration are truly beautiful. This is a hobby I would like to ride. Voted up, useful and to be pinned in my personal library. Hi, Janine Huldie. I'm so happy you like my idea on doing Faux stain glass. I hope you will try and and do this some day, you will love it. Hi, Vinaya Ghimire. Thanks for reading about how I faux painted my windows and doors. You just might want to try your hand at this method one day, you just never know. Mary not sure how I missed this before, but this one truly was amazing and loved how you gave such detailed step by step instructions on how to make Faux Stain Glass Windows and Doors too! Have of course voted and shared too!! Hi Mary, I'm not sure if I can do this, but I loved your ideas. Thanks for sharing. Hi, GlstngRosePetals. Thanks for reading and commenting on how to faux stain glass. Great, I do hope you will try your hand at this. Please let me know how you do on it, OK? Very interesting, I'm going to give the dolphin stain a try in my window, I'll let you know how it comes out.. I'll be anxious to know if you solve your problem with the bubbles, NiaG. Please let me know. Hi, NiaG. I'm sorry you are having problems with air bubbles. When I did get them, I used a toothpick to pop them. I think if I tried to squirt too much paint at one time, I would get them. Other than that, I just don't remember having many problems with bubbles. I do run my air conditioner during the heat of the summer months, though. Try going a little slower getting the paint out of the bottle. Are you using the good paint made by Gallery Glass? Mary do you remember having terrible bubble issues? I have started to become overwhelmed with them. I do wonder if it's working in a warm room. I very rarely run my air so I'm wondering if that's the problem. My next painting I'll run it and see if I notice a difference. I thought I'd ask you to see if you had any problems and what you did. It's so time consuming to try to pop them and I still don't get them all. Mary, did you have big time problems with bubbles? As I paint I find myself overwhelmed with them. I'm going to try and do them in a cooler setting and see if maybe that helps. I normally don't use my air very much but wonder if the warmth of where I'm working is causing the a problem. It's so time consuming trying to pop them and I still can't get them all. Hello, Mike. Thanks for reading about doing faux stain glass, and for the nice compliment of our work! Hi Tracy Lynn, thanks for reading about how to faux stain glass. I so glad you enjoyed reading this, and I do hope you will try to do this project. It is not hard to do, and as I said in the Hub, strart out on something like a mirrow which is easier to work on. I'll be anxious to now how you do! I am very impressed with your ability and volume of work. This seems like a great project, I would love to see these windows in person but it seems that I will have to attempt this technique for myself first. I really enjoyed this hub! 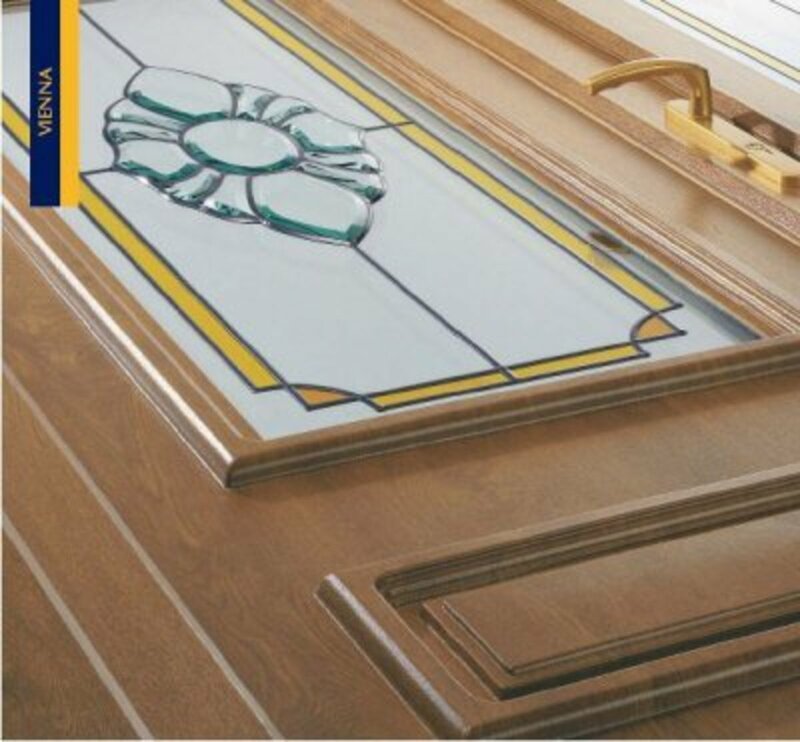 Hi, prettynutjob30, thank you so much for reading and commenting on my Hub about faux staining glass windows and doors. This is a most rewarding project and I do hope you will try to do this yourself. It is not hard at all to do, I promise you! PS. If you have any problems when you try this, please email me and I'll be glad to help. Beautiful results I am going to have to try this for myself voted up and awesome. Hi, carol7777. Sounds like you might try your hand at faux glass stain. You would enjoy this project, I'll bet. This hub needs more of my attention. So Iam going to bookmark it. Great hub. 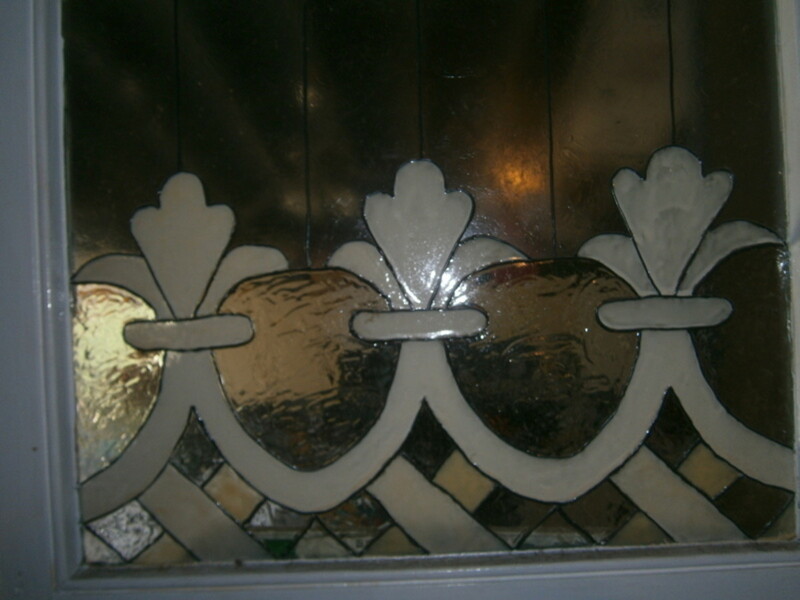 Hi, Lovelovemeloveme, thanks for reading about my faux stain glass window project. You really don't have to be creative to do this. You use a pattern so you don't even have to draw! Thanks for the suggestion for me to sell my work, but I'm really not that good. Oh nice hub! I love your work. I don't know if I have the creative and artistic talent to pull this off. I give u big kudos! Everything looks sooo nice. I bet you can even make this and sell it off eBay for ppl. You might two comments! NiaG, I read your Hub with the Hummingbird you added. I am SO proud of you! You are just getting to look like a pro! I think you are ready to have a show of your own. I haven't done any faux stain glass lately....been too busy on HP! You have made me SO happy, NiaG. Oh Mary take a look at my hummingbird I just put on my hub! 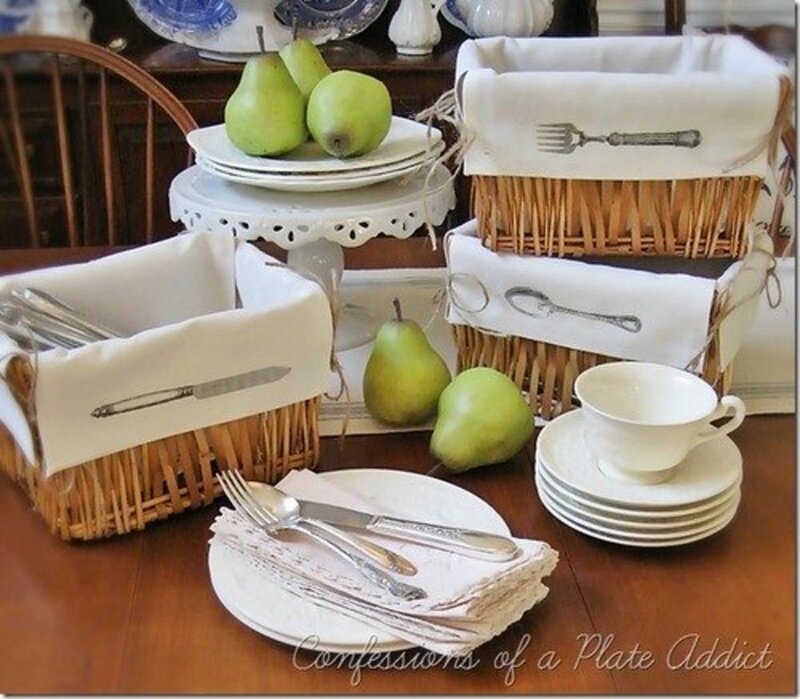 A fellow crafter and I are even talking about doing an arts and crafts show in September. Super exited. I've got some work to do. I think I'm going to try and get 20 pieces together for it! Hi, Keith, yes someof these old churches have some beautiful stain glass windows. Honestly, you can reproduce the same look by trying this method. I absolutely love the look of stained glass! I used to live in Staten Island and our Cathedral had some of the most beautiful stained glass portraits from well over 100 years ago. Now I know how to get the same look for my place :) Thanks for sharing! Hi alipuckett. Thank for taking the time to read and comment on my method of faux stain glass. I'm so glad you found it to be awesome. Maybe you will try and do this someday! Hi, Peggy W. I'm so happy you found my faux glass stain project amazing. I think the paint you are referring to as wavy is a paint made to look more opaque for privacy. Cleaning??? That word is not in my vocabulary....just kidding....the painting is done on the inside of the window so you clean the outside as usual. I honestly have never tried to clean the painted surface. If I did, I would just be gentle. I'm happy you read this and voted it UP, and thanks for the share, too. I get lots of compliments on my faux glass painting and that makes me feel really good. Your faux stained glass windows are absolutely amazing! They are every bit as pretty as your real dolphin one. I loved the one on your kitchen door and noticed some of the glass that merely looked wavy. Was that a paint that created that look or was it wavy in that area? In reading the comments, I noticed a question about cleaning the windows after painting. What do you use? Sooner or later they would need cleaning. All votes up except funny and sharing. So glad I found this hub! Hi, Duchess OBlunt. I'm so happy you like my idea of faux stain glass. It is such a rewarding project. You know, it's warm almost all of the time here, thank goodness! Unlike where you live. I would chose a warm day. I'm not sure what effect the cold would have on the glass paint. I love what you have shown us Mary. This is something I think I might try my hand at. Would you suggest warm weather for outdoor windows? Or does it matter. Hello again, JazzSinginJoe. thanks for coming back. In other words, your door still looks good??? 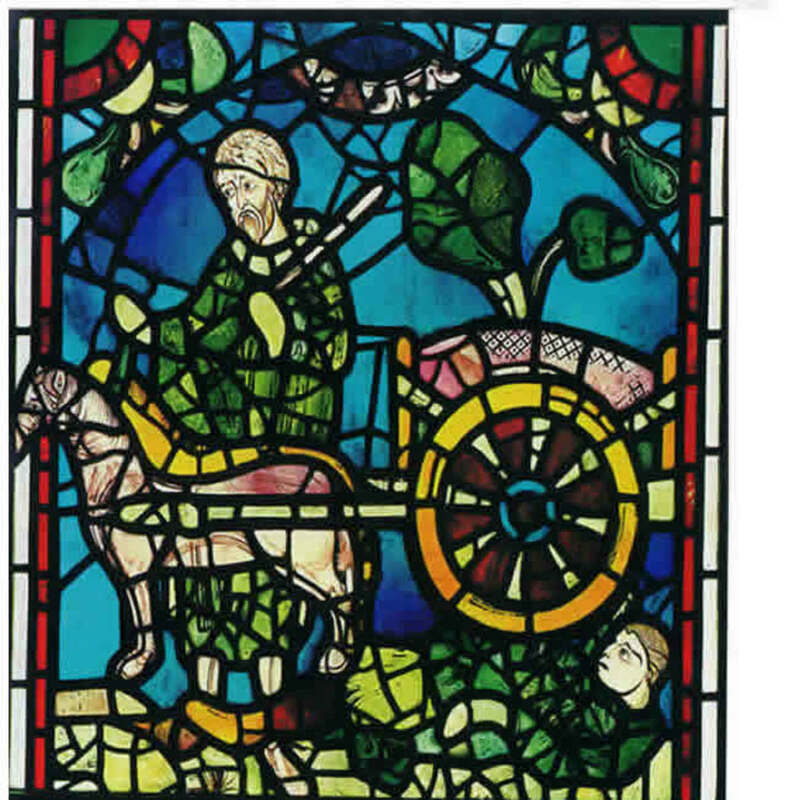 I misunderstood, I thought by your first attempt you had a bad experience with painting the faux stain glass. Just remember to paint on the inside of a window or door. LOL! Mary, I should have specified that I'm in way upstate New York. 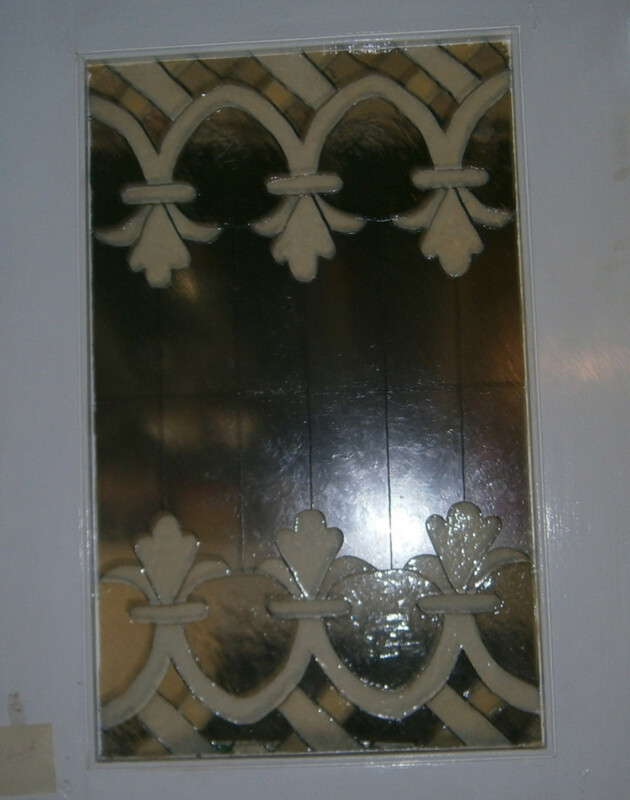 HOWEVER ... ten years ago I did my kitchen door window using this technique (my first attempt) and, while not exposed to the elements directly, that room is very cold in the winter. It's stood strong through the humidity of years of canning tomatoes! I'll see if I can get a good picture of it. I might get brave and experiment on an exterior window this year. Hi JazzSinginJoe. Thanks for reading and sharing that info with us. I did my exterior doors about two years ago, and they still look great. No ill effects at all. One door facing south, and there is NO fading of the paint either. Of course the painting is done from the INSIDE of the door. I only use the brand Plaid. WARNING!!! Please be careful when choosing where to use faux glass products. I haven't found one product, yet, which doesn't warn against use on outdoor windows due to summer-winter temperatures and their adverse effects on their products. Good Morning, ishwaryaa22, Good to see you today! I would be honored to have you link this Hub into yours. I remember your interest in faux glass stain by your previous comment. I can't wait to see your Hub. Please email me when you publish it so I don't miss it! Good luck with the Hub! I am working on my latest hub. I seek your permission to grant me the honor of linking this beautiful hub of yours to my hub. You are an inspiration for me in this artistic field! Hi, Stephanie Henkel, so nice to see you! 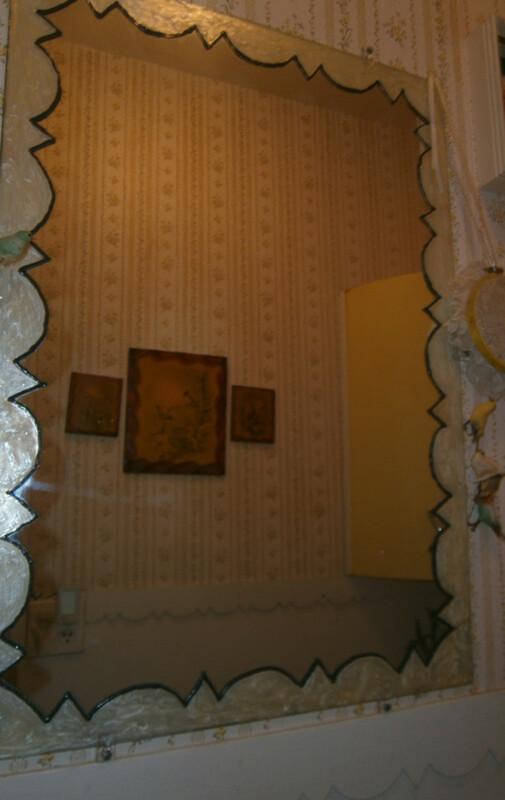 That was the main reason I got involved in faux glass painting: I wanted light but privacy. I've never found it hard to clean the window after it is painted. I did my painting on the inside of the doors and windows so they wouldn't be exposed to the elements. I would try it first on a mirror or some other flat surface till you get your confidence. If you have any questions, just email me, OK? Good luck and I do hope you will try this. This is a wonderful idea that I must try on my kitchen door. I really don't want a curtain on it, but need something for privacy since it opens onto our porch. My only concern is cleaning the window once the painting is done...will it hold up? Thanks for a great hub...love your photographs and easy instructions! Hi, moonlake. Nice to see you! Thank you so much for the lovely compliment on my Faux Stain Glass windows and doors. Hey, if you don't have a door to paint, why not try this on a mirrow? I was so happy that this Hub inspired NiaG to try this and write a Hub about her experience. I put a link hers here. How nice of you to vote this UP, share and Pin it. Don't you just love Pinterest? I get some good traffic from them! Mary, Your doors and windows are beautiful. I love the idea and it doesn't look to hard to do. I don't like a lot of curtains in our house. In fact I have none in the kitchen area. I was going to do something like this on an old door we had but we have now taken the door down and a new one has gone up. Can't believe I missed this hub. Voted up, shared and Pin it. Hi there, Katie! I'm so excited that you are going to try to do faux stain glass! After you have placed the lead strips on the outline of your project, the paint will not run past that. It will take a little practice to keep you from squeezing too much out of the bottle. If you get the paint too thin, you can add more. Please do keep me informed how your project is going. I would start out learning this on a mirror or another piece of glass that you can lay flat. Good luck! Wow! Mary this looks outstanding! I had no idea faux stain glass existed and now I am inspired! :) I am looking to paint 3 big windows in my living room. I'm very excited! And I will try to keep you posted! Going to take a trip to micheals soon! Also I have a question, when painting a door/window won't the paint drip down since it is not a flat surface and is standing upright? I'm afraid this might happen. Hi, Amaryllis, thanks so much for reading and commenting on my Hub about faux stain glass. I'm glad it gave you some idea, and I hope you will try to do this. It is very rewarding. Goodnight. Hi, lindacee. Thanks for reading and commenting on my Hub about doing faux stain glass. Sounds like you had good results using this method on your window. The possibilities are endless. I, too, wanted to learn the real thing, but I couldn't afford it. Thanks for the vote and the nice compliment on my Hub. I appreciate that! I'm happy to be following you, by the way. Your Hub about creating faux stained glass is wonderful! 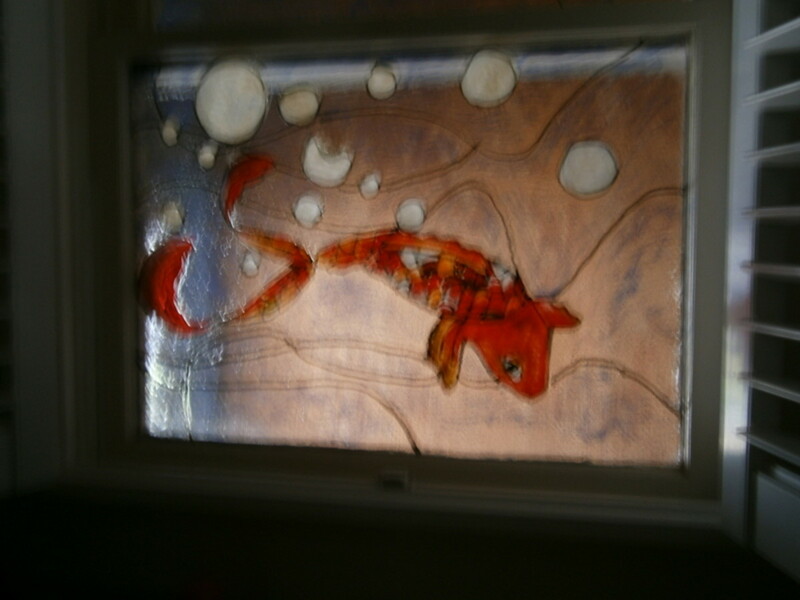 Once upon a time, I tried Gallery Glass on an old window I picked up at an antique mall. I was quite happy with the results, but they pale in comparison to your (and your daughter's) work!! Faux stained glass is a fun and inexpensive way to get the look of the real thing. I looked into stained glass classes, but by the time I considered the money for the class itself AND the supplies, it was not worth it to me. It's great to have a budget-friendly alternative! Very informative and beautiful Hub. Voted UP, useful, awesome, beautiful and interesting!! Hi, shelia10. Nice to see you today! Plaid is the only brand of glass paint I have used. There are probably other brands, but I just trust the Plaid brand. As far as sizing for your window, you hold the pattern up to the window to figure out how you want to place the design. I have always used a pattern with the exception of the door that my daughter did. She is very creative, and knew what design and colors she wanted. After I buy the book of patterns, I choose the pattern I want and use their designs. I'll bet you could buy the paints directly from Plaid. When you purchase the design book from the craft store, and decide on a pattern, the instructions will specify what color paint you need for that design. Thanks for the compliment on my work. It is a fun project. I do hope you can find the books and paint at Michaels or some place comparable. Good luck. Good Morning, gracenotes. I can't wait to get your photos! Oh Gracenotes, I am SO happy you did this project. I know you were thinking of doing the faux glass stain. I am so pleased that you are satisfied with the results. It is quite beautiful when the light comes through windows done this way. Please send me a digital photo by email so I can see what you did, or better yet: write a Hub about your project! I am so happy. You have made my day, friend! Mary, my handyman and I finished installing the window clings (faux stained glass) over my front door. I am waiting until the light is better to shoot a decent picture, then I will share with you. Since the windows face east, they will photograph better when the sun comes through, and it's been cloudy the last couple of days, unfortunately. What really looks nice is the view from the street at night. All I have to do is turn on the overhead light in the foyer, and you can see the stained glass patterns from the sidewalk. I'd photograph those too, but I'd need some slow film for nighttime, and perhaps my old 35mm camera. I'll certainly try it with digital, but I have my doubts as to what will happen. So watch for the links I'll post. The windows look very good. Your work is beautiful! Thank you for sharing your photos and 'how to' video. I have a large kitchen window and you have given me some great ideas. Good Morning, A. Creative Thinker. Nice to see you! Thank you for the nice compliment on my work. This is really a fun and easy project to do. Thanks so much for the votes, too. See you again, soon, I hope. You are very talented and creative mary615. This is such a wonderful art and you can decorate so many areas with it. Lovely photos and great hub. Voted up and awesome! Wow! Beautiful work of art you did! You are v.talented indeed! Faux stain glass art is very popular in my country. My cousin-sister took up glass-painting on small panels & vases. You further enlightened me on this lovely art. The ones I admired the most among your work included the lovely work on your bathroom window, your dining door and the stunning work done by your daughter. I will think of taking up this art in the near future. Well-done! Thanks for SHARING. Pressed all the buttons (except funny-sorry). Voted up and SOCIALLY SHARED! I'll bet your toucan will be beautiful, NiaG. I can't wait to see it. I think you should write a Hub about it and make a video of you painting it. That would be SO great. If you don't make a Hub, please email me a photo of the finished project. Hi there,NiaG. Sounds like you have a plan. Keep me posted, OK?